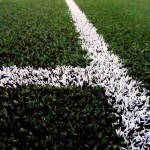 When having an artificial sports pitch installed for football, rugby or both, it’s important to choose reliable 3G grass suppliers and installers to ensure you get the best quality end result for your organisation. 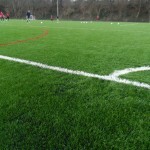 Whether the synthetic grass pitch is for recreational or professional use, at a school or club, selecting the best 3G turf suppliers and contractors will give you a sports pitch with great performance characteristics which is safe for use. As an artificial 3G grass supplier we can also provide you with the best equipment including fencing and floodlighting for your sports facility, as well as the synthetic turf carpet, this will make sure you get the most out of your sports pitch. Once your 3G synthetic grass surfacing has been installed, we offer a range of services to help look after the sports facility and ensure you get the most out of it. This maintenance includes deep cleaning, drag brushing, infill top up, repairs and moss and algae treatments to prevent contamination and waterlogging problems. Please contact our team today through the enquiry form to discuss our services and receive a quote.